Draw an imaginary line on a map of the lower 48 U.S. states from the Dallas/Ft. Worth metropolitan area to the Twin Cities of Minneapolis/St. Paul. With the exception of a few, relatively isolated instances, including Albuquerque, Denver, Salt Lake City and possibly Boise and El Paso, west of this line there is no significant urban conurbation until you get to the three west coast states, with the exception of Las Vegas, Nevada, which arguably is a satellite of California. East of this line the opposite is true, and therein lies the problem with Amtrak operating a so-called ‘national’ system. Next year, we’ll celebrate the 150th anniversary of the first transcontinental railroad across the U.S. The population disparity between the settled east and the west was even greater then; part of the purpose of the railroad being built across what was essentially a wilderness, in terms of habitation by people who were then U.S. citizens, was to induce movement, including immigration, to populate the land, and stimulate economic development, including what became large-scale agriculture. It includes six entities (including the District of Columbia) that are not states; the Northern Marianas ranks 14th, with the rest (including DC, which is first) ranking even higher. Alaska, not surprisingly, has the lowest population density. Maine is 44th, with all of those ranked between 46th and 55th (Oregon is ranked 45th) falling into the categories described in the title, including Utah, Kansas, Nevada, Nebraska, Idaho, New Mexico, South Dakota, North Dakota, Montana and Wyoming. New Mexico, for example, has only 17 people per square mile, on average, as of 2015; this is less than a third than the figure for its immediate neighbor to the west, Arizona, which has 60 people per square mile. Kansas, the eastern portion of which is included in a large urban area (Kansas City), has 36 per square mile, as does Utah. Maine, with the lowest population density in the east, 43 per square mile, was, memorably, excluded from Amtrak’s “national” route system when it was originally drawn up. In addition to having a paucity of people compared to other regions, transportation technology has advanced since the completion of the first transcontinental railroad in the U.S. Highways now knit the country together on a universal basis; air service has essentially the same geographic breadth of service (including our forty-ninth and fiftieth -- Alaska and Hawaii – states, which neither highway nor rail transportation can claim), but, for economic reasons, only provides service to points where there is sufficient traffic to warrant service. It also has become very clear that the air mode dominates long-haul passenger service in the U.S. market. Rail continues to exist in the Basin/Plains regions, but, as does much of the traffic on the often-parallel Interstate Highway system, a good deal of it is only flowing through, and not originating or terminating. Air service, however, is spotty in this region, due both to the lack of population density and the adoption of the “hub and spoke” operating system, which puts a premium on market size. While much air service in this region has vanished, some still remains at rural Kansas locations: Hays has service to both the Denver and Chicago hubs; Manhattan to Dallas/Ft. Worth and Chicago; Garden City to Dallas/Ft. Worth; and Dodge City to Denver (reversing the pattern for 1968 described previously). I suspect that most, if not all these services are supported by the U.S. “Essential Air Service” program. It is noteworthy that while nonstop/linear travel is no longer possible from the Kansas towns, they now have one-stop convenient connecting opportunities to much of North America, and a number of other points literally around the globe, as well. For that matter, at one time, points like Garden City, Dodge City, Hutchinson, and Newton had access to some of the finest rail passenger service in the U.S., and likely, anywhere. They have continued to have service in the Amtrak era that probably is envied by places not on the U.S. passenger rail map, including direct/”single-seat” service to Los Angeles and Amtrak’s Chicago connecting hub, but still produce only modest amounts of traffic. 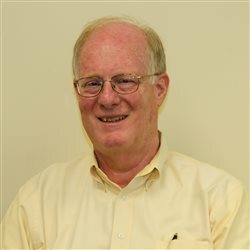 While the foregoing might seem to indicate that rail passenger service has no place in this huge swath of the Continental United States, recent development of heavy-rail commuter and short-range regional service in Colorado, New Mexico and Utah (and light rail in Denver and Salt Lake City) shows that this is not the case. 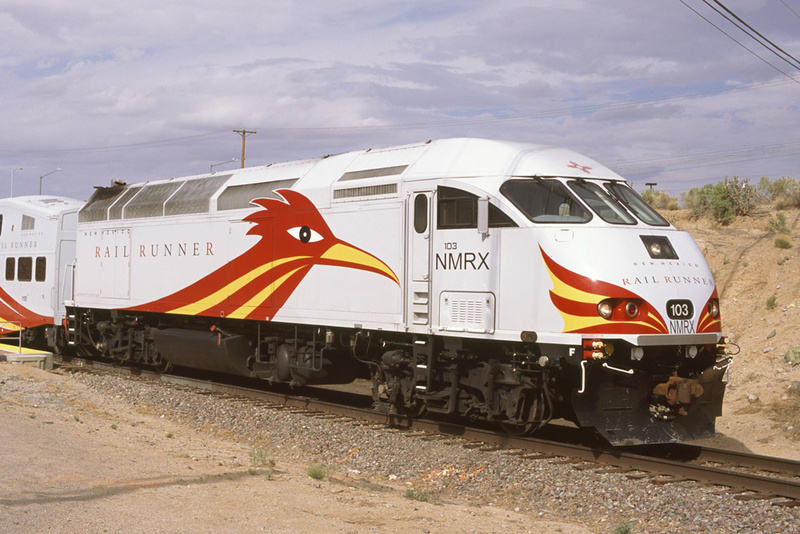 In simple terms, where the potential market is large enough, rail commuter service works in places like Albuquerque, Denver and Salt Lake City. Unfortunately, however, the potential for even medium-haul corridor services in this region is limited, because most other centers of significant population are too far away. In both Albuquerque and Salt Lake City, the commuter services effectively capture what limited corridor-type traffic might be available; Albuquerque-El Paso could be a possibility from a distance standpoint, but the traffic potential may or may not be there. A modest Cheyenne-Denver-Colorado Springs, and possibly, Pueblo corridor might be possible, but again, with the exception of Denver-Colorado Springs, this might be difficult to sustain. In addition, Amtrak’s “national” services in this region are oriented towards east-west traffic, and the potential corridors mentioned are north-south. They possibly could provide feeder traffic to the national routes, but there is little or no opportunity to build corridors integral to the east-west mainlines here. In short, in terms of near-term opportunities for what works best for present-day rail passenger service in the U.S., i.e. short and medium-haul routes with sufficient traffic density, the vast interior of the western United States is essentially the “Great Barrier” to new investment in rail passenger service in this part of the country, outside the commuter services which have already begun to develop. Geography and demographics may not be everything, but in this case, they hold many, if not most of the cards. Long distances and few population centers (and those with good air service: Denver and Salt Lake City are hubs, and Albuquerque has a number of routes served nonstop by Southwest Airlines, as well as service to legacy-major airline hubs) are not a good recipe for rail passenger success.